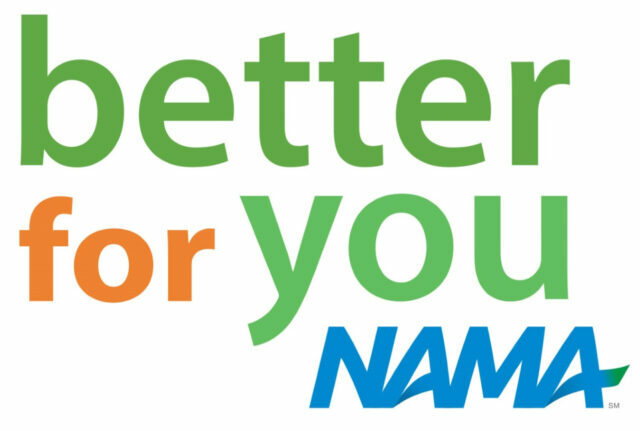 CHICAGO, U.S. — By expanding beyond its boundaries, the ‘Better for You’ Pavilion is breaking records weeks before the NAMA Show (April 24-26, 2019) debuts in Las Vegas, with more than 3,300 square feet, featuring more than 30 exhibiting companies. “The ‘Better for You’ Pavilion, featuring products with attributes from responsibly-sourced to lower calories to reduced sugar to Non-GMO, is perfectly aligned with consumer trends,” said Lindsey Nelson, Vice President, Programs and Services. “The NAMA Show is structured to provide resources for operators to build their business and the ‘Better for You’ Pavilion is designed to do just that. Operators interested in expanding consumer choice will be able to see the variety of new products all in one place. We look forward to delivering this added excitement and enhanced focus on the show floor this year,” she continued. For more information, attendees are invited to attend the annual NAMA Public Health Advisory Council panel discussion Thursday, April 25, 9-10 a.m. Moderated by Sylvia Rowe, president of SR Strategies and NAMA Board member, the discussion will feature national experts as they deep dive into emerging nutrition trends, consumer consumption data and ‘better for you’ buying patterns. The NAMA Show, with more than 5,000 professionals, delivers the power of the convenience services industry: vending, coffee services, foodservice, micro markets and pantry. Discover cutting-edge technology and trends, explore new products, and build a powerful network of industry allies to grow your business and service your customers. To learn more and register, visit thenamashow.org.